Sky is spending $1m (£757,000) to bring live drone racing to UK viewers. The satellite broadcaster is making the investment in the Drone Racing League (DRL) to bring competitive flying to its new Sky Sports Mix channel. The league specialises in “first person-view” drone racing, which features pilots flying custom drones through complex three-dimensional racecourses. One of the first events will be the DRL 2016 world championship. Sky will cover the 2016 DRL season, which features five races including a winner-takes-all world championship, in ten 60-minute episodes. DRL founder and chief executive Nicholas Horbaczewski said the aim was to create a global franchise. Sky also said it will team up with London & Partners to bring the first professional drone race in the UK to a venue in the capital. Emma Lloyd, the broadcaster’s business development director, said Sky wanted to “bring something completely different” to audiences on both television and online. Its new channel will be available to all subscribers – not just those who pay extra for Sky Sports – to offer daily live sports coverage from next month. Sky’s move follows US broadcaster ESPN’s decision to start showing drone races. 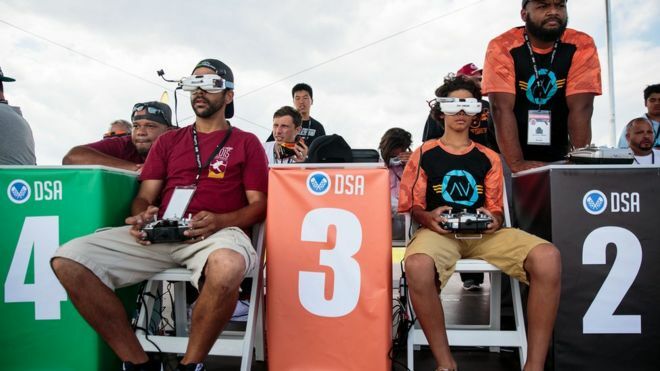 The Disney-owned network showed a three-day International Drone Racing Association event in New York last month. ESPN claimed drone racing was set to become as popular as Nascar and Formula 1 car racing.